When preparing files for full colour printing, it is essential that your data have the proper colour mode, otherwise you should expect colour variances between your data and what is printed out. More often than not, people submit RGB artwork files for print not knowing about the difference between RGB and CMYK colours. RGB and CMYK colour modes use different values to represent similar colours. Additionally, a colour available in one mode (RGB) isn’t necessarily available in another mode (CMYK). RGB files are not considered print-ready and need to be converted to CMYK, which can cause problems because RGB colours cannot be duplicated exactly in CMYK. RGB colours look bright and vibrant on screens, but when converted to and printed out in CMYK often come out duller and bright hues come out slightly darker. This is why it is important for you to prepare your artwork files in a CMYK colour setting prior to submitting your print data. This will help prevent any unexpected results and save you from headaches in the long run. RGB is as an additive colour profile, because you add the primary colors of light together to create new colours. Blending these three colours produce a whole range of different colours, and when you add all three you get white. RGB has a very wide colour range, meaning it can produce many bright vivid colours, because RGB is actually how our eyes perceive colour. The important thing to remember about RGB colour is that itcan only be used by devices that generate light. 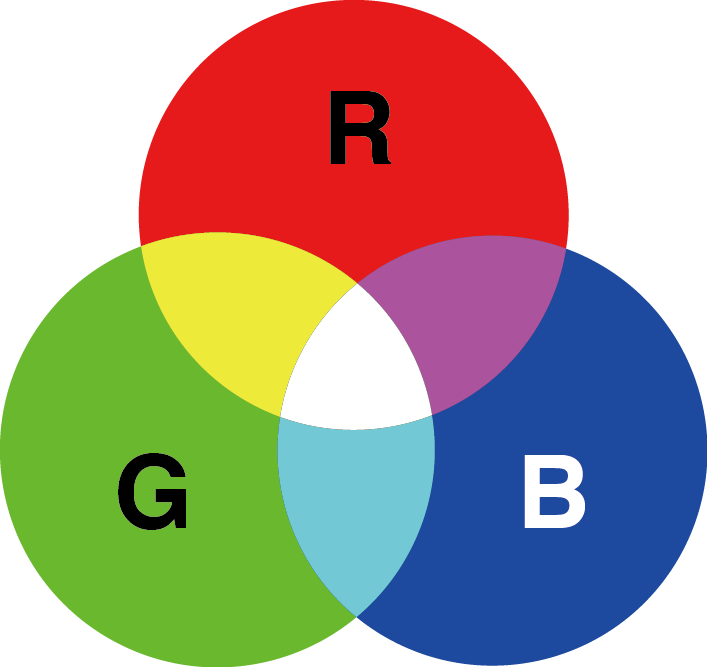 RGB refers to Red, Green and Blue, which are also known as primary colours of light. When all 3 colours overlap, you see white. CMYK is a subtractive colour profile, because each ink removes a primary colour of light from any white light that hits it. Put simply, as we overlap the Cyan, Magenta and Yellow inks the colours become darker. In theory, combining Cyan, Magenta and Yellow ink makes black, but actually it’s quite difficult (we actually get a muddy, greyish colour). In order to get a deep, rich black, we must also add blacK (key) ink. 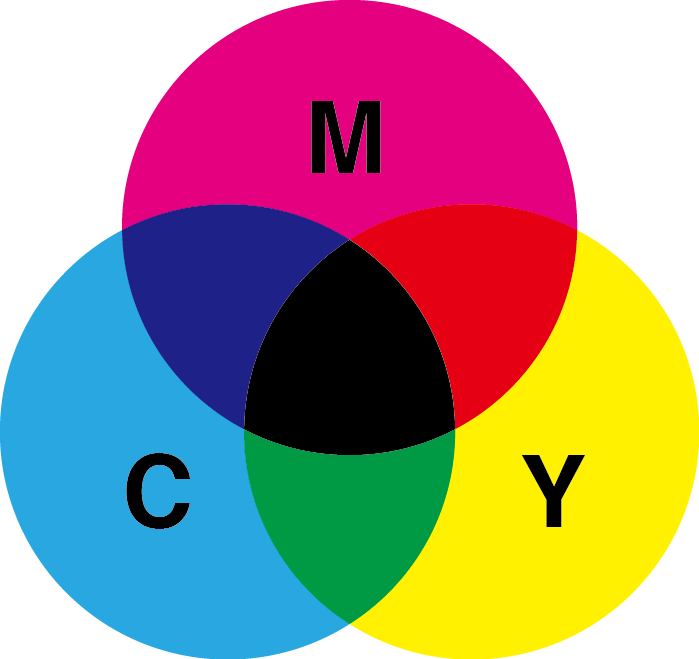 CMYK refers to Cyan, Magenta, Yellow and blacK, which are also known as primary colours of ink. When all 4 colours overlap, you get black. 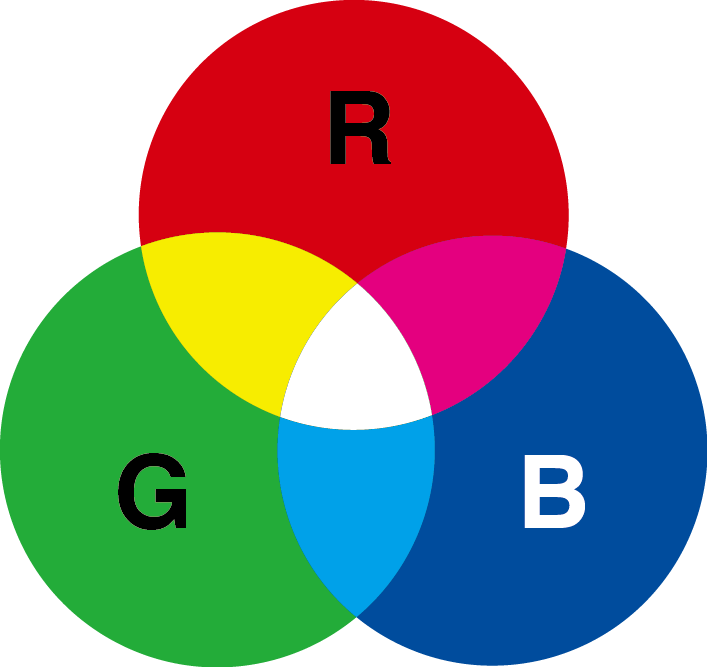 Certain colours created in RGB by blending red, green and blue light cannot be created in CMYK by mixing cyan, magenta, yellow and black ink. Where possible, we recommend you to do any colour conversions on your end before submitting data so that you can make any colour adjustments necessary. 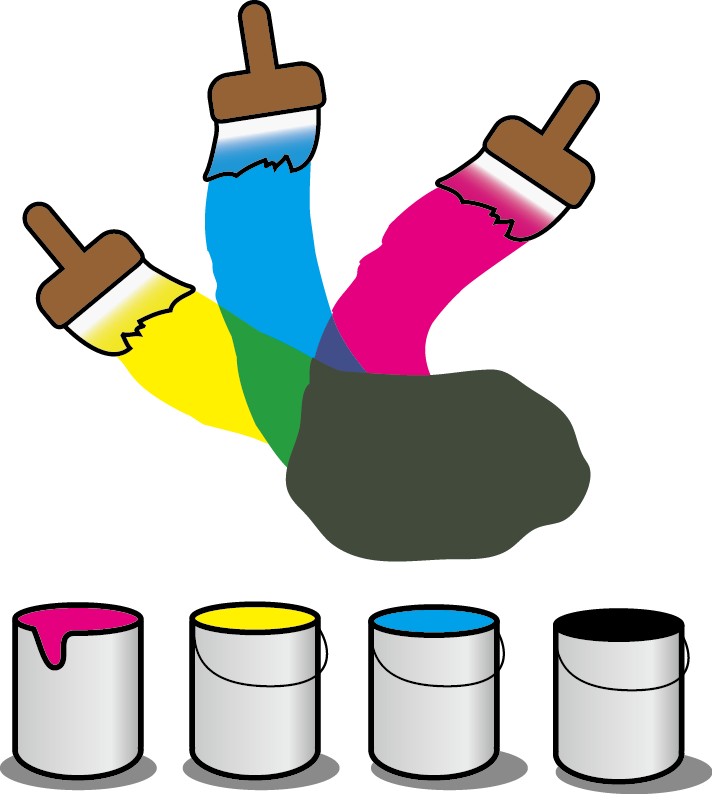 We can convert the colours to CMYK for you, but it will cause an inevitable colour shift. However, we will not make any adjustments or tweaks to the colour. Doing so will incur additional fees. If you submit data with an RGB colour profile we will let you know about it, because we want you to understand the difference between the two colour profiles, and to know about the possible problems that may arise from it. 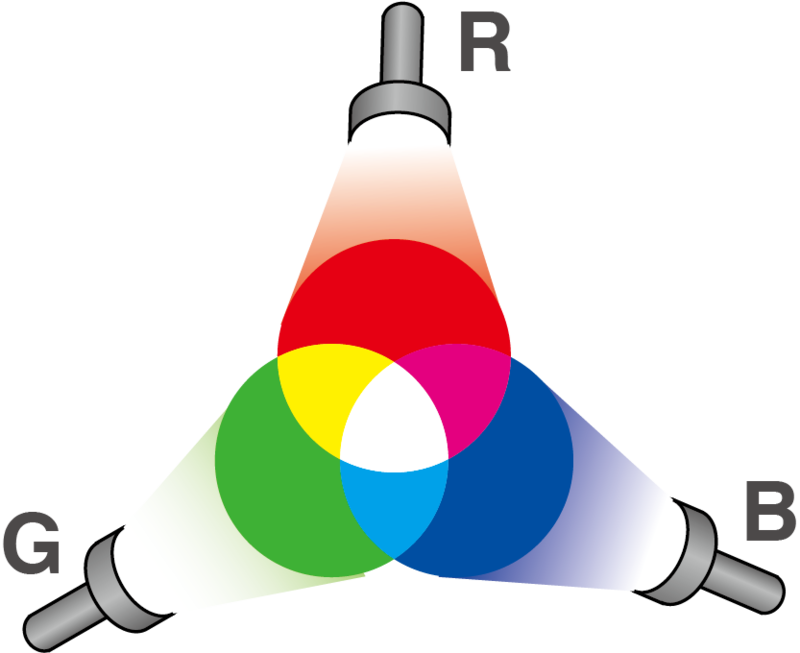 Converting from RGB to CMYK will generally mute the bright, vibrant colours in the image. Take the below example. For best results, always start your design in CMYK. If you start with RGB data, and force convert it to CMYK in Photoshop..
You bright RGB colours become duller, darker and not so bright.